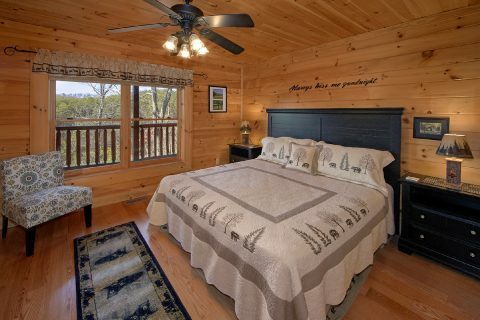 Come experience "Dreamland," a luxury, 4-bedroom log cabin in the Bear Creek Crossing gated resort area! 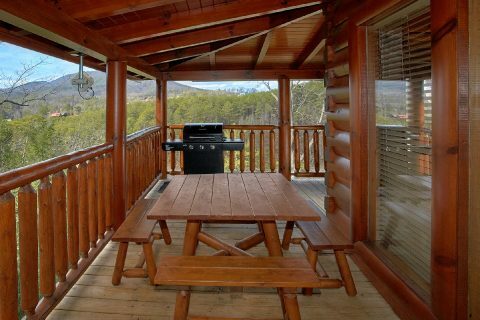 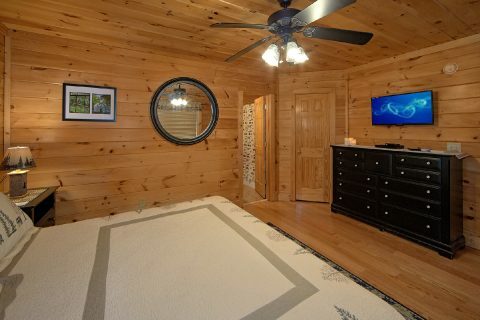 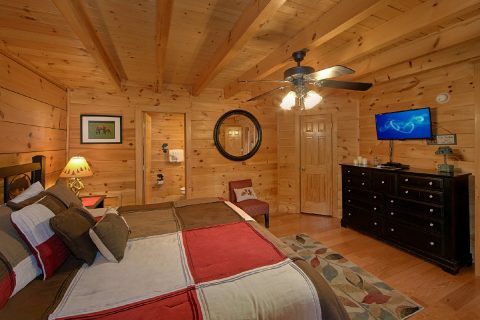 This comfortable cabin rests only 3 miles from Downtown Pigeon Forge, so you can enjoy staying close to dozens of shops, restaurants, and attractions during your Smoky Mountain vacation. 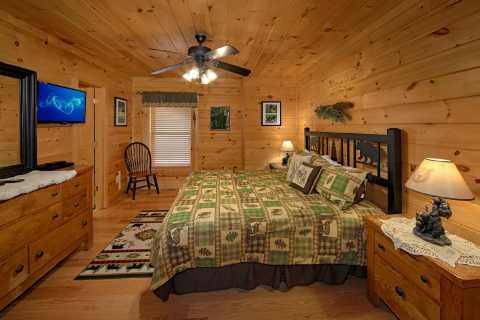 This well-decorated cabin sleeps up to 12 guests in comfort, so it's just the right size for a family vacation or a small group getaway. 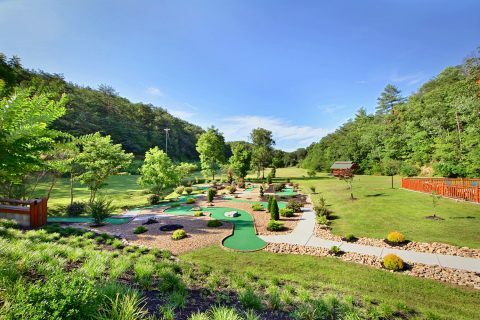 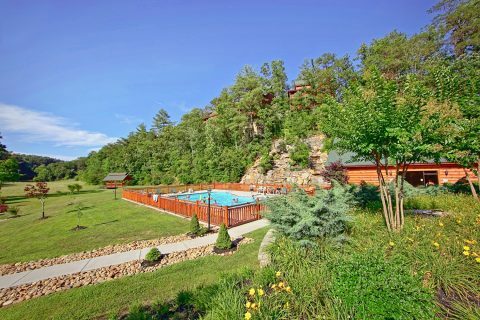 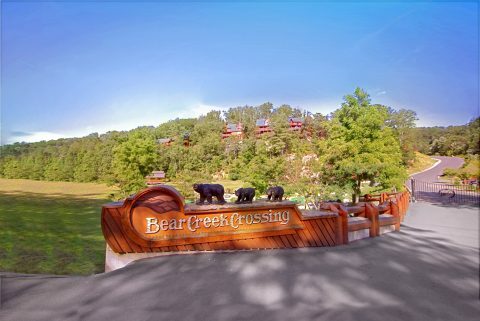 Since this cabin rests in the Bear Creek Crossing Resort area, guests will enjoy access to a seasonal resort pool, a year-round indoor pool, and a 9-hole putt-putt course. 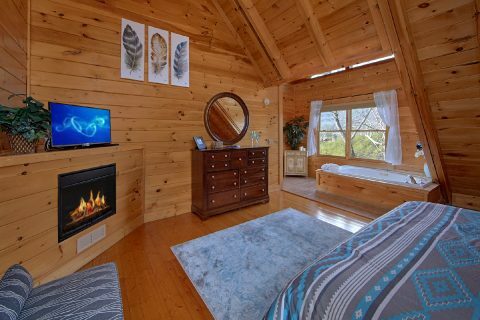 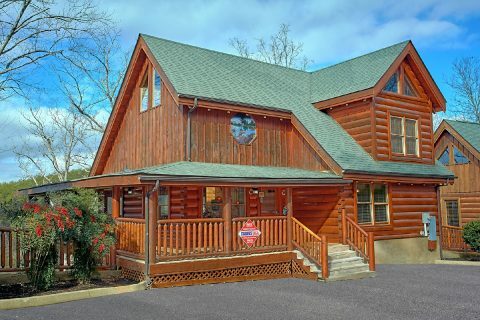 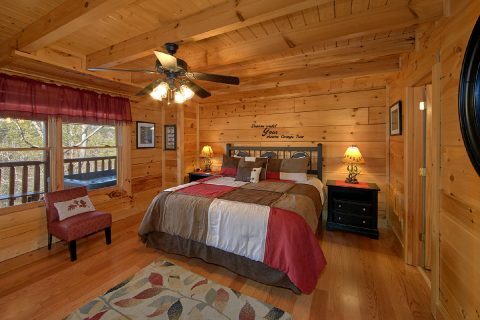 After a great day spent exploring the national park or seeing hilarious dinner shows in Pigeon Forge, you'll love returning to this cozy cabin in the mountains with everything you need to relax. 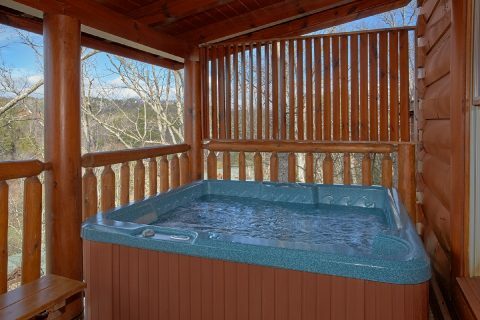 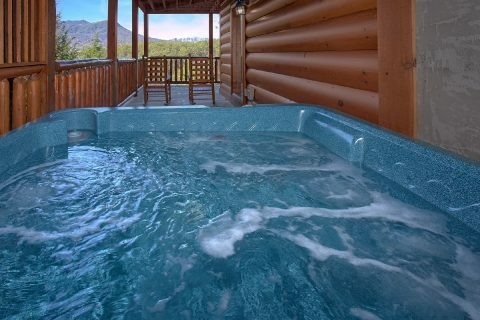 Take a soothing soak in one of this cabin's two hot tubs. 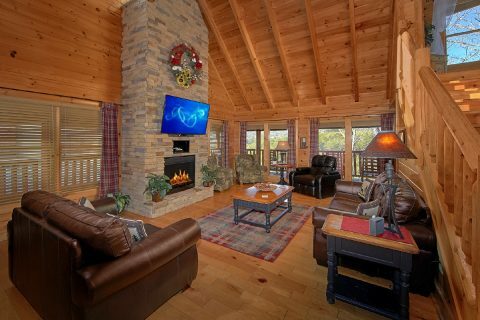 Unwind by the electric fireplace in the living area while you enjoy the company of good friends. 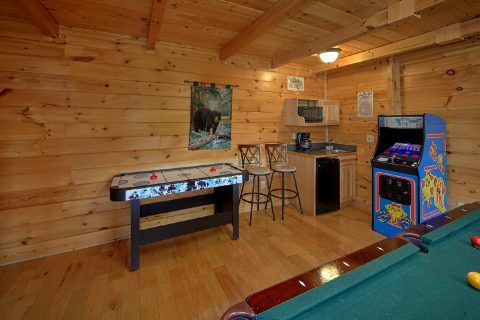 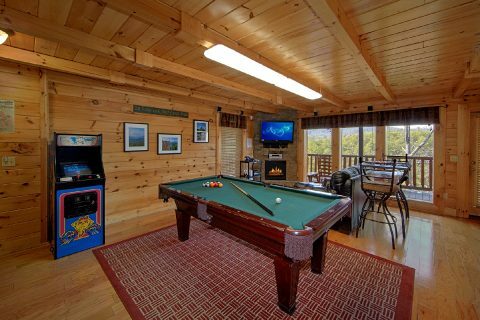 For endless entertainment, you can enjoy the arcade game, pool table, air hockey table, Wii, and Xbox 360 game consoles in this cabin's over-stocked game room with a surround-sound system. 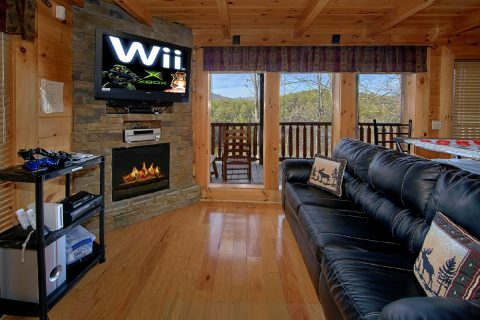 Controllers for the game consoles are provided, but guests will need to bring their own video games. 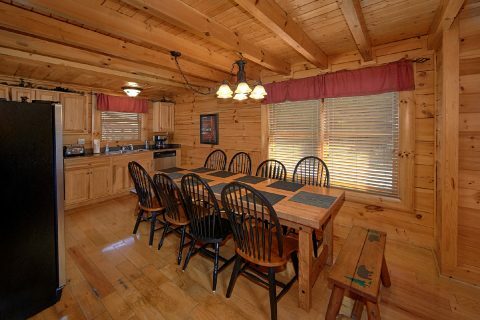 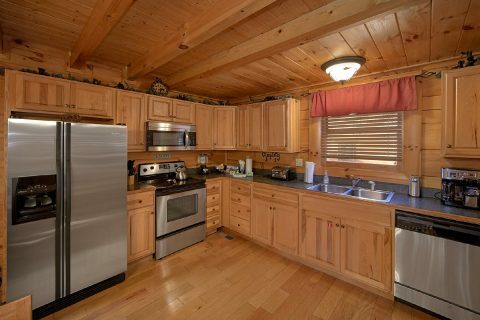 This cabin also offers practical amenities like a full kitchen, gas grill, WiFi Internet, and a washer & dryer for guests to use during their stay. 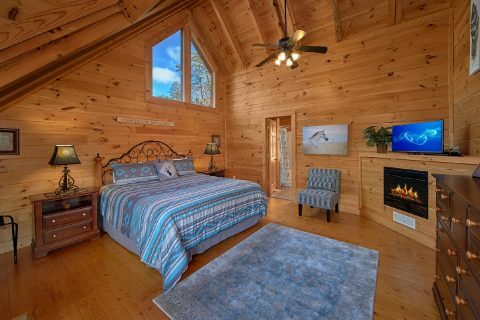 When you're ready to get some shut-eye, this cabin boasts 4 private bedrooms with king-size beds. 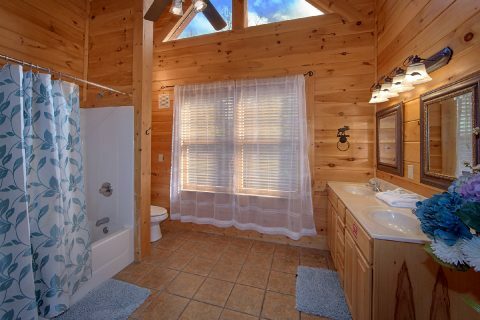 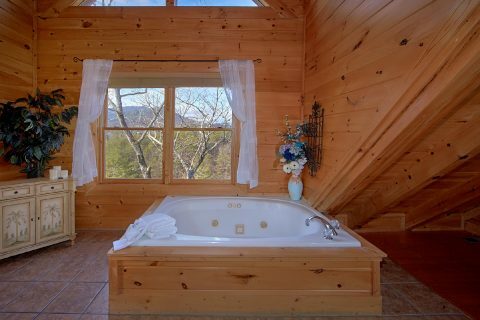 Better yet, this cabin's master suite boasts a jacuzzi tub for a relaxing soak in privacy. 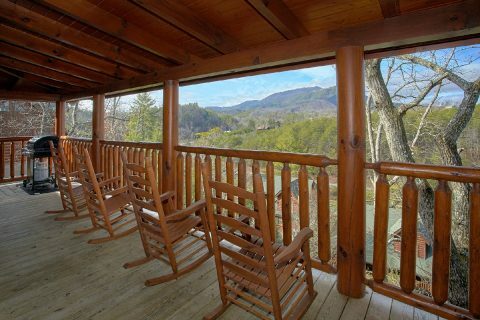 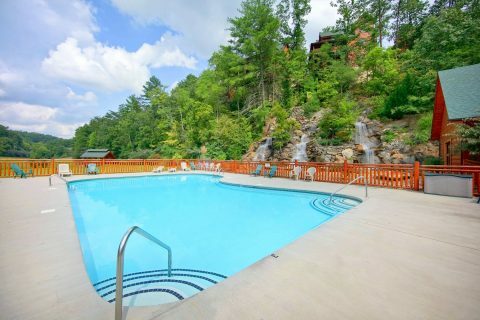 Reserve "Dreamland" today for an unforgettable luxury vacation experience in the Great Smoky Mountains of Tennessee! 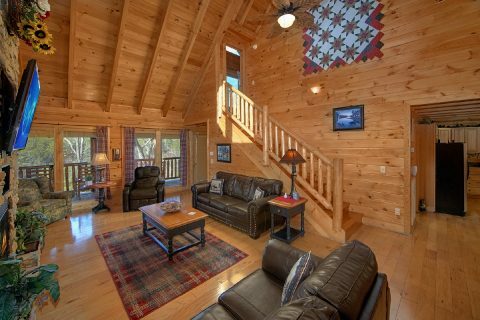 When you reserve this cabin rental with Cabins USA Gatlinburg, you can save 15% on your nightly rate with our special cabin discount!